Hastings Country Park Nature Reserve is a unique 345ha area of maritime cliff with a cliff top area of maritime acid grassland and heath, gill woodland (including some ancient woodland), scrub, neutral grassland, and amenity grassland. 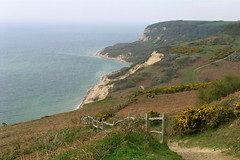 The cliffs at Hastings Country Park Nature Reserve constitute the largest area of the High Weald ridge that meets the sea. This sandstone and clay coastline is uniquely positioned between the alluvial plains of Rye Bay and Pevensey Bay and the chalk of the North and South Downs. The site is of significant importance both nationally and internationally for its biodiversity and geology and has therefore been granted both Site of Special Scientific Interest (SSSI) and Special Area of Conservation (SAC) status. Hastings Country Park was declared a country park under the 1968 Countryside Act in 1971. Maritime softrock cliff and slope, ancient gill woodland, acid grassland, heathland, semi-improved neutral meadow, freshwater ponds, agricultural pasture and arable land. 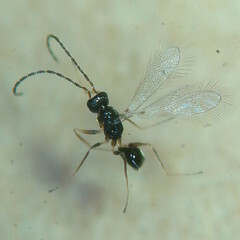 Many rare and scarce liverworts, mosses and lichens occur within the gills. Peregrines, black redstarts and fulmars breed on the cliffs. Dartford warblers, stonechats and yellowhammers breed on the gorse covered hillsides. Many migrants pass through the site in spring and autumn and usually includes a few rarities such as sardinian warbler, red-rumped swallow, and pallas’s warbler which have all occurred in recent years. An amazing diversity of invertebrates live on the cliff habitats and within the heathland and acid grassland including some species which occur in very few other places in Britain. 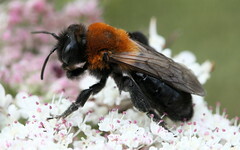 Some notable examples are sickle-bearing bush-cricket; Lixus angustatus, a large weevil which is extremely rare in Britain; and Micaria romana, an ant-eating spider which occurs in only four other coastal areas in Britain.